Imagine the audio quality and power of a laptop/tablet with 24bit/48KHz audio capability, a touchscreen interface designed for both audio creation and live performance, all for less than the cost of a current smartphone. That's what we did, and we call it Pipes. The power of a computer streamlined for making music and built to take on tour. Pipes IS BUILT FOR ON-STAGE PERFORMANCE! If you don't want to carry around thousands of dollars worth of delicate gear on the road, or don't want to buy a laptop and an expensive audio interface specifically for music creation, then you are the reason we made Pipes. Based on groundbreaking core technology, Pipes is new category of machine for creating music and performing live. It has the convenience of a touchscreen tablet style interface, the flexibility of an open source software platform, and the durability for going onstage night after night. Pair Pipes with any MIDI controller (keyboards, pads, drum triggers, wind controllers etc.) and you have a powerful music creation and performance platform. Pipes outperforms any sampler device or workstation, and even out-horsepowers a laptop! Switch between multi-GB sample sets and instruments instantly (or play them all at once!) because all sounds are always loaded. 64 stereo voice capability. Zero Discernible Latency (ZDL) is less than 4ms from trigger to audio. Onboard 48KHz/24bit library included, or add your own. Compatible with WAV, AIF, EXS, SFZ, GIG, NKI, or our own MDA file format for maximum versatility. 3 USB ports are included, plus you can add a powered hub for even more. 5-pin MIDI In and Out ports are also included. Digital S/PDIF out, analog quarter inch outs and stereo headphone out deliver crystal clear sound. A 7-inch capacitive touch screen gives you total control over every aspect of Pipes. Intuitive and organized, you'll find it's easy to adjust both in studio and live situations. Download samples, tweakers and updates and back up your content via WiFi, easily! Pipes is always evolving, and the good news is that all updates are free and won't require new hardware! 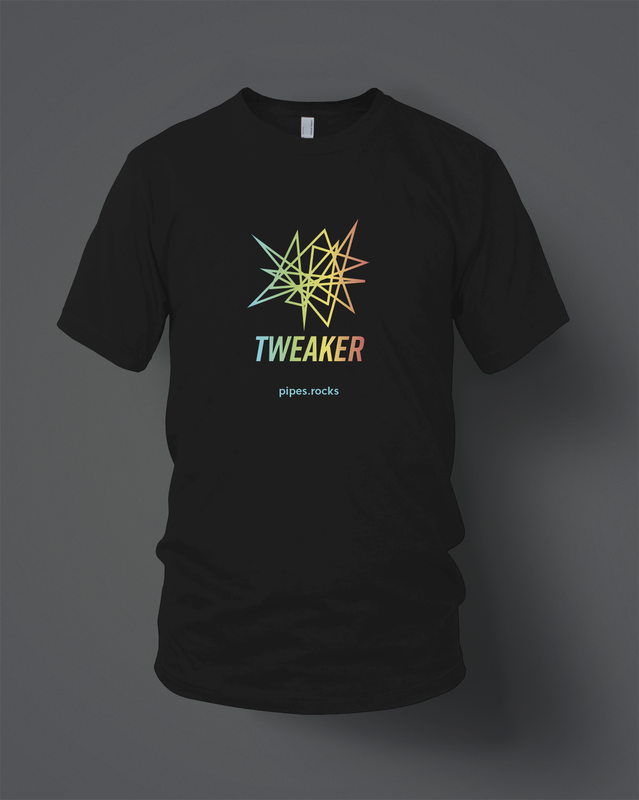 Tweakers and Effects provide an exclusive level of customization to create truly original sounds. Pipes comes preloaded with powerful editors we call Tweakers and Effects. Tweakers occur before hitting the audio sample, and Effects occur after the sample triggers. Apply Tweakers and Effects to different areas of your keyboard to create sound pipelines, or 'Pipes'. We'll be adding to the library constantly and users can download these as soon as they are available via WiFi. New users will find Pipes easy to use and can explore many ways to manipulate sound and create original presets from beautiful to insane. Experienced users can get into the weeds and create their own original Tweakers thanks to our open source approach. Best of all, no solder required! We're building a community of like minded sonic soothsayers. Because Pipes is designed on an open source platform, users can create their own Tweakers or custom instrument and sample libraries. After launch, we'll be creating a community section of the site where users can share their original Pipes content alongside the factory updates. This is a huge reason why we've chosen to launch Pipes via crowd funding. Developed with a user-first approach, we want our users to be involved as much as they like, including input on what features and updates are most wanted. We want to encourage people to create original sounds and share them so others can use or remix them. And for our most advanced users, we look forward to seeing what crazy things you'll program to create radically original sounds! If you have not signed up for updates, please join our mailing list to stay up to date! Be the first to grab Pipes Early Edition apparel! Every purchase supports the development of Pipes, plus these shirts and hoodies are guaranteed to make you even more attractive and interesting, if that's even possible. Sporty, stylish, that's Pipes.